Watford City has seen huge changes in the past several years as the oil industry drove the community to a record population estimated at more than 7,000. And now with oil prices plummeting from a high of $140 per barrel, to the mid-$30s, the community, which is in the epicenter of the Bakken oil development, is still forging ahead. According to Sanford, the frantic pace associated with the growth of the oil industry slowed just enough in 2015, that the public infrastructure and housing construction had a chance to attempt to catch up from the rapid pace of the oil boom. Some of the hurdles Watford City cleared in 2015, says Sanford, included working through how to pay for the new public infrastructure and public building projects, traffic becoming more manageable, and law enforcement, emergency services, and public employment having the chance to catch up. Gene Veeder, McKenzie County Economic Development director, agrees with Sanford that Watford City is turning the corner when it comes to improving the quality of life for city residents. So what is in store for us in 2016? Sanford sees Watford City making more progress. He sees the completing of several infrastructure projects that were started in 2015. He sees residents settling here for the long haul. And he has positive hopes and visions for the future here. Sanford says he’s hopeful for the residents of our area. And there are many reasons we have to be hopeful. 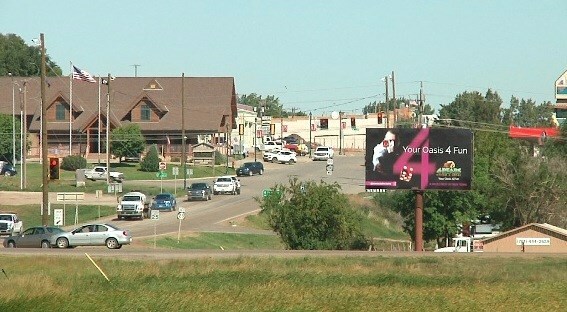 In order to position Watford City for the long-term, Sanford says the city is doing several things, including taking care of the historical population and historical economy of the area, providing a home for the increase in permanent residents resulting from the production of thousands of wells in our area, and taking advantage of the opportunities presented by the increased economic activity. So although the oil and gas market has slowed down a lot over the last year, Watford City is a community that has evolved, transformed, and progressed into what it is today. Watford City still has a bright future and a lot to offer to its residents in the upcoming year and years to come.